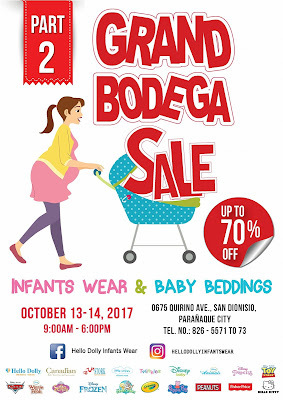 Missed Hello Dolly's Bodega Sale last month? No worries! 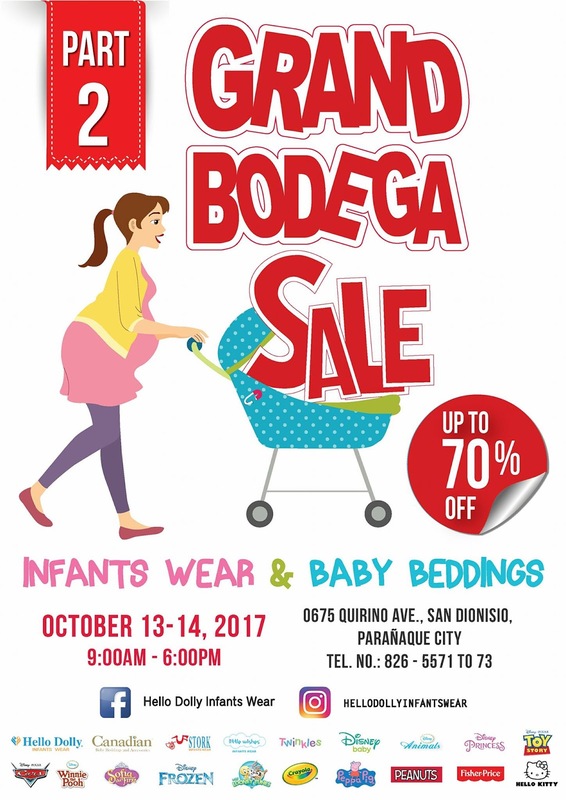 The most exciting and Grandest Bodega SALE of Hello Dolly Infants Wear and Baby Beddings is here once again, and happening on OCTOBER 13-14, 2017 from 9am-6pm at Quirino Avenue, San Dionisio, Parañaque City. Enjoy up to 70% off on selected items.